everydaymatters: Attack of the Giant Silverware! 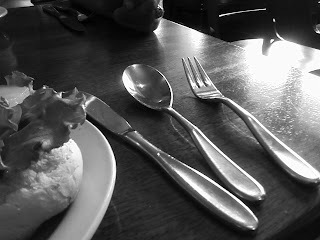 I have never in my life seen silverware this large. My dad and I went out for lunch today at J K O'Donnell's Irish Pub and felt like little wimps trying to pick up our napkins.